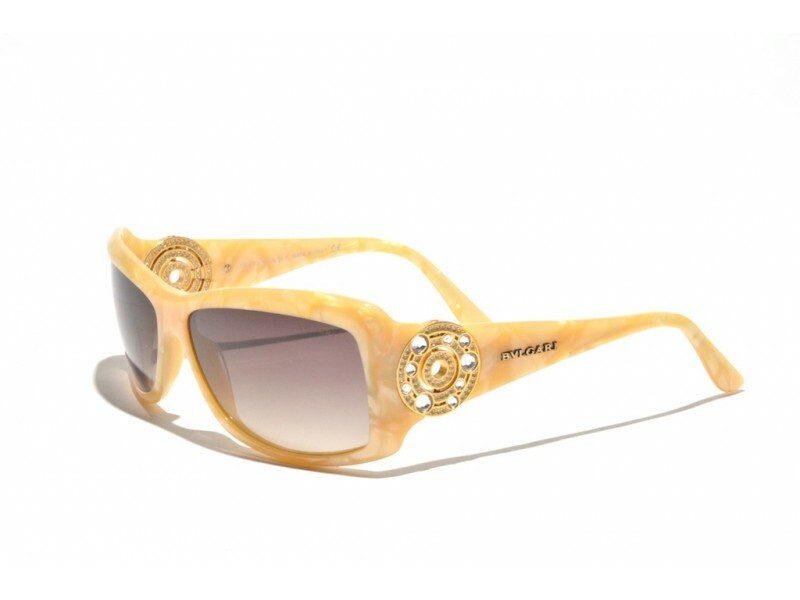 Bulgari sunglasses in the color Pearl Ivory, with a beautiful marble pattern that makes the looks of these sunglasses even more unique. 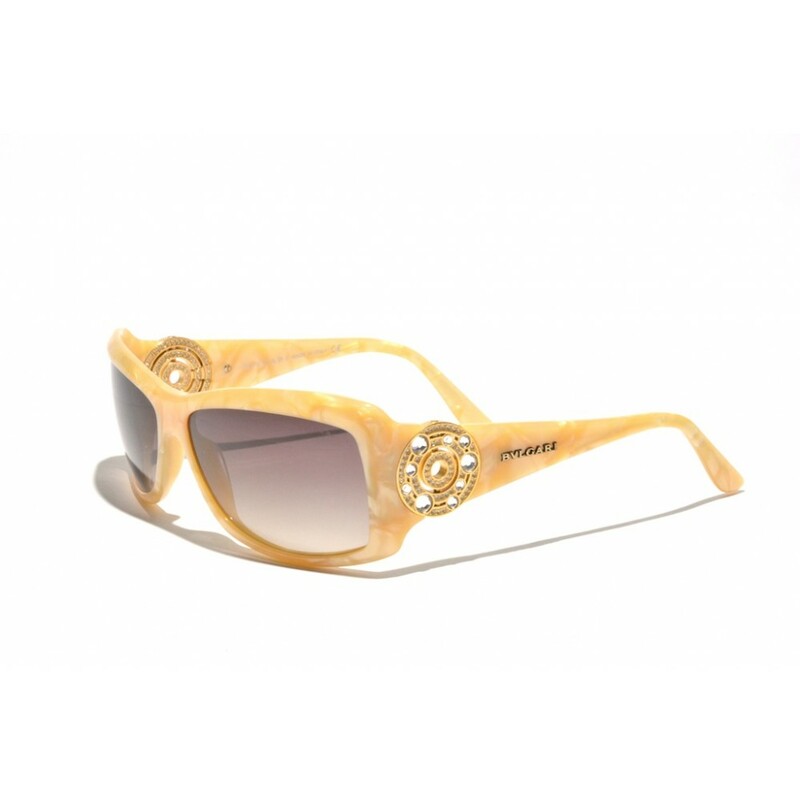 A total of 302 Swarovski crystals have been placed by hand in this pair of sunglasses. Of course they are on the outside, but with their eye for detail the people at Bulgari did not overlook the inside. Unique is the keyword for this pair of glasses. Gradient lenses. This way you make sure to optimally filter the bright light that is shining in from above, without the need to make use of very dark lenses. Please Note! These glasses have a small mark on one of the lenses, it doesn't affect your sight, but causes an extra low price.